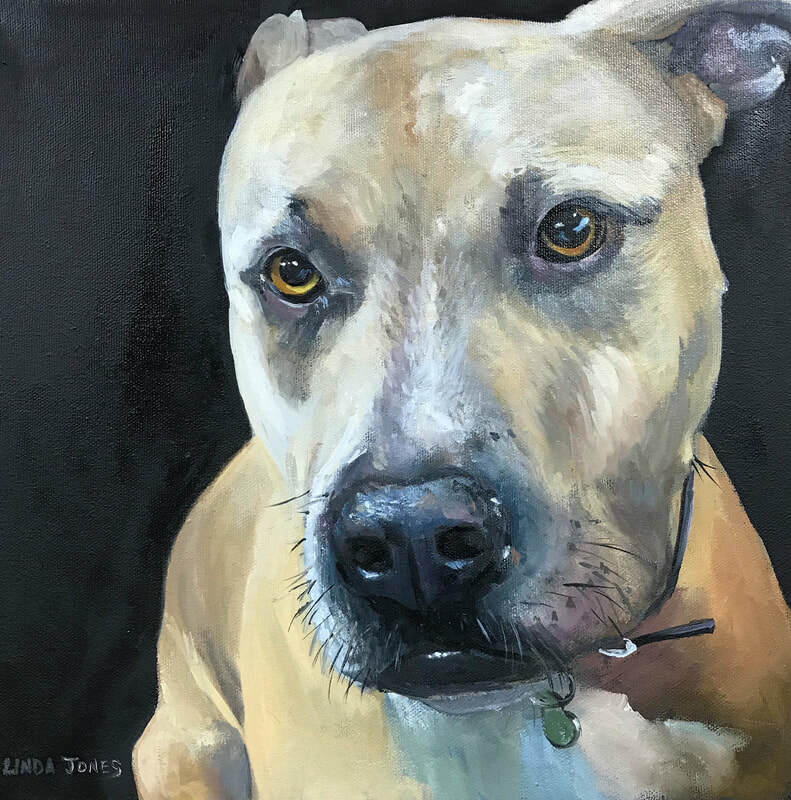 Linda Jones is an award winning Canadian artist based in Ladner, BC, focused on teaching art to all ages, creating custom pet portraits for her fellow pet-lovers, and working in oils. Sign up with your email address to receive news and updates about upcoming shows or workshops. We respect your privacy and will not share your e-mail address with anyone else. 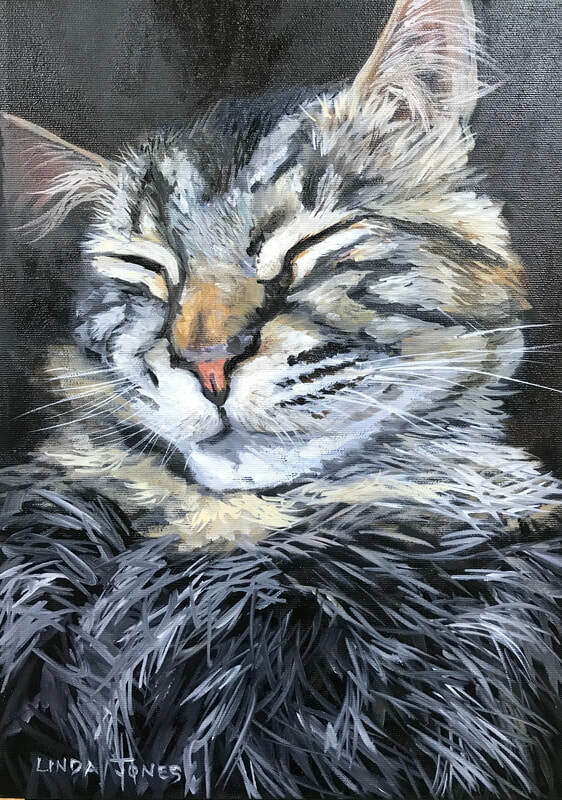 Our unique acrylic and oil painting classes run weekly from September through June. They are relaxed, semi-private group classes in a fun, supportive, studio atmosphere. All skill levels are welcome, ages 5(ish) and up! Students bring in their own sources of inspiration - from landscapes to puppies to something entirely different - and Linda helps them step by step to achieve their vision. Stay tuned for children’s summer workshops - COMING SOON! Get in touch with Linda to book a class or stay informed on upcoming workshops! Our daughter expressed an interest in art but it wasn’t until she took a 3 day class with Linda that we realized this was for her! 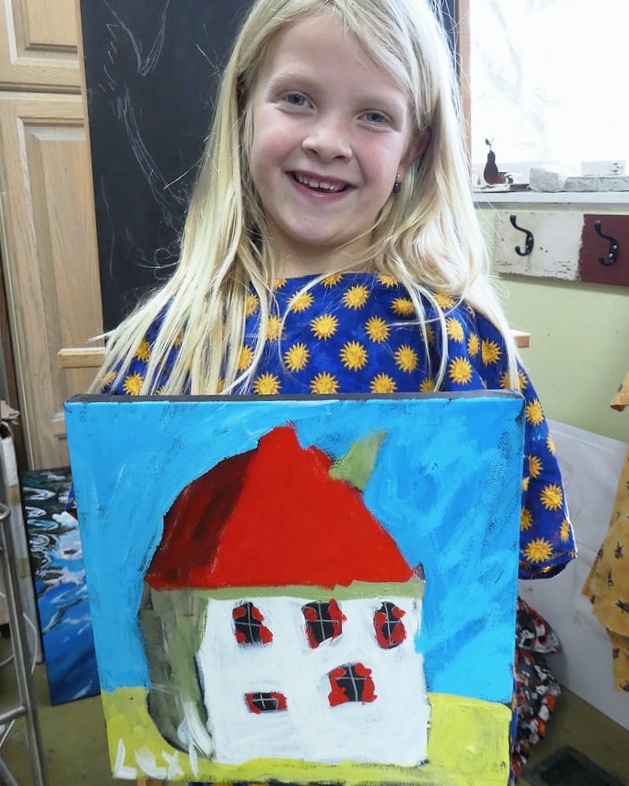 Being introduced to Linda and having our daughter in her art classes has been the best activity for her all round. She is really growing as an artist and this is because of Linda. Want to learn more or sign up for a class? Contact Linda today and she’ll be in touch! 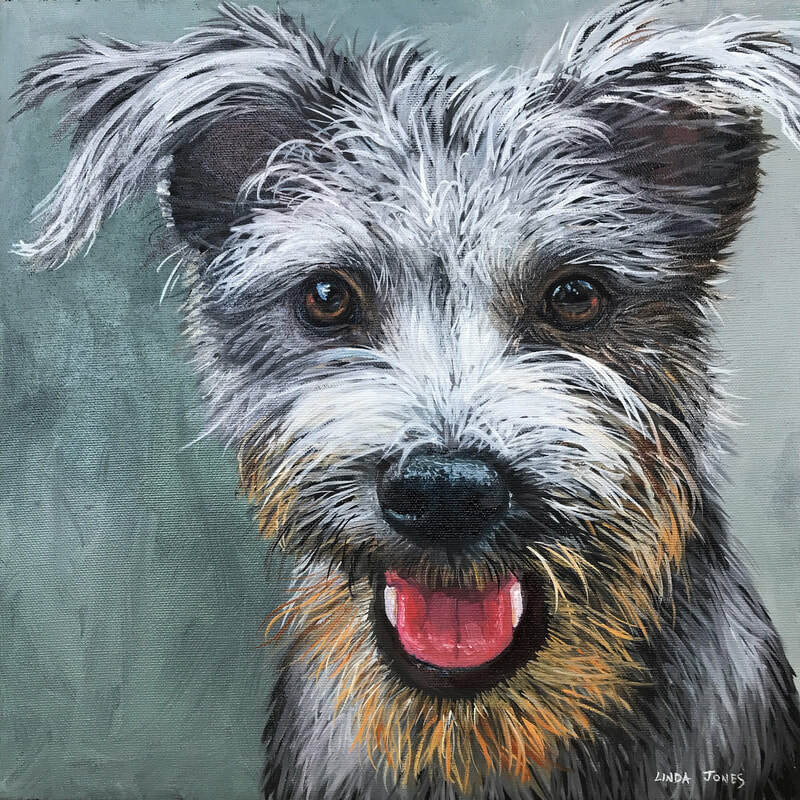 Linda’s favourite subject to paint is our beloved pets! Linda enjoys working on commissions for custom pet portraits. Get in touch to create yours today! 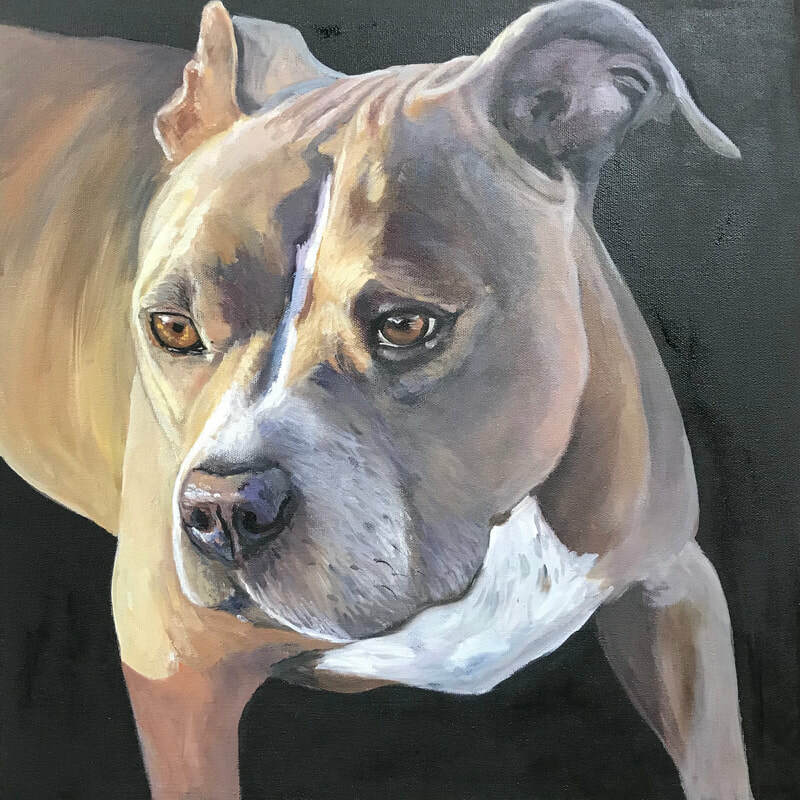 Linda is self-taught and has over 30 years of professional experience working in oils, cold wax medium and acrylics. Her work can be found in private collections and public spaces around the world. 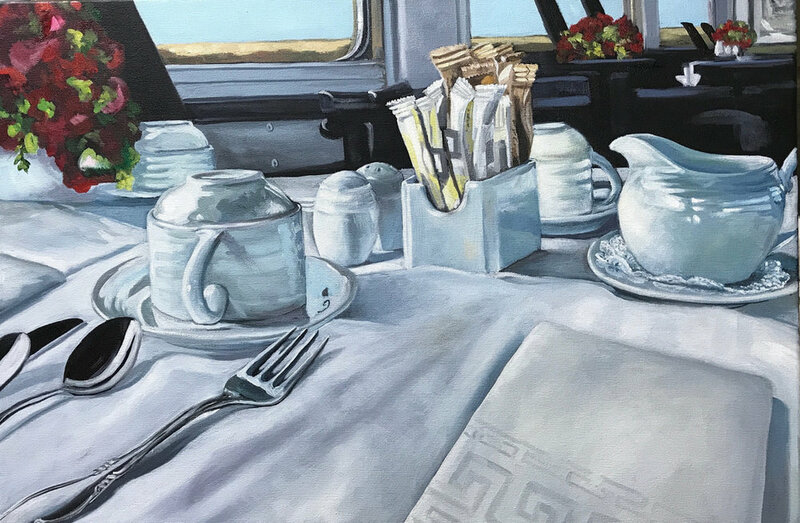 Linda is represented by Madrona Gallery in Victoria, and can be found in Ladner Village at Hygge Bath, Heritage House Interiors, West Coast Seeds, and Camille’s Boutique and Gallery. You can learn more about Linda here. Get in touch to inquire about an existing piece or commission. Linda is always happy to help you choose or create a piece that suits your home or workspace!